Last week we commended our President for recognizing Jerusalem as the Capitol of Israel. Since then other countries like the Czech Republic have come out in support. But many Western Nations have condemned this. Arab Nations and Muslims are enraged. Of course Hamas and the PLO don’t need an excuse for days of rage. They have a day of rage every year to condemn the existence of Israel even without Jerusalem as Israel’s capitol. Iran, Hamas and Hezbollah have screaming forever that they will destroy Israel, and wipe them off the map. Their mantra is Palestine, from the river to the sea! Jordan is also condemning, saying this will hurt the peace process. What peace process?? Jordan expelled them years ago, only in recent years have they allowed some refugees into the country. And are they really refugees?? Are they escaping persecution or genocide like Christians and other minorities? Turkey condemned Trump and Netanyahu, but really? Turkey is in the top 10 of Nations committing egregious human rights violations. Even in this country, muslims are screaming. In Texas an Iman called for the destruction of Israel, and in a little covered story, CAIR and muslims protested by praying to their god in front of the White House. One of CAIRS leaders is quoted as saying “Trump opened the door in America for Christian extremism.” Whaaaat?? Are Christians beheading, and killing while screaming Glory to God?? NO!! 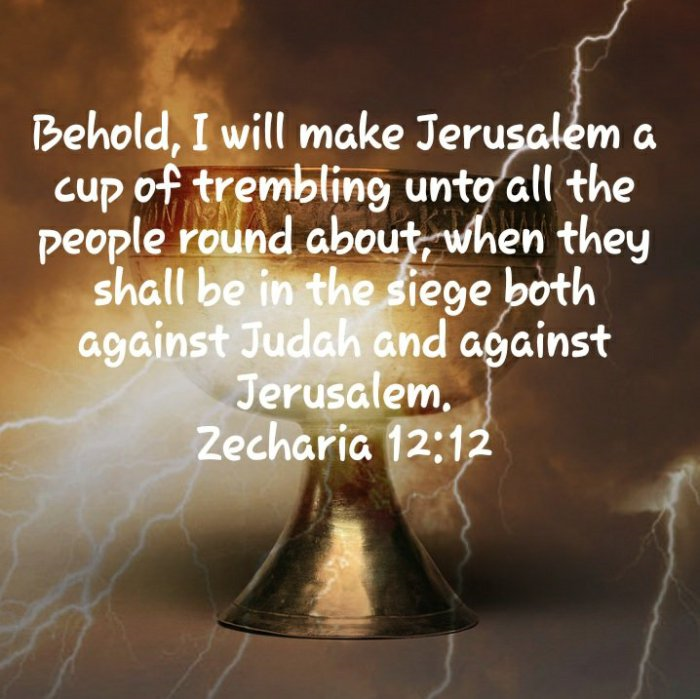 They have been using the Temple Mount for decades as a whipping point for Jews and Christians, saying neither has a right to King David’s Temple Mount, God put His name on Jerusalem! The Quran does not mention Jerusalem. The only reference is in a dream their prophet had about riding a white horse there where he dreamt an angel took him to heaven where Jesus bowed to him! They are and have been gaslighting and spreading lies and propaganda for decades and even some Christians believe it. Hence the media reporting the Temple Mount as a Holy site for 3 religions. Jews and Christians yes, but Muslims no. We all know the History in the Bible for Jews, Christ preached there from the age of 11. He was tried there, and crucified there and that is where He will return as Conqueror. When His feet touch the Mount of Olives! And He will remove the abomination of desolation spoken of by Daniel the prophet. Gaslighting is a form of manipulation that seeks to sow seeds of doubt in a targeted individual or in members of a targeted group, hoping to make them question their own memory, perception, and sanity. Whether President Trump realizes he is in line with scripture or not, the plan of God will come to pass just as written. Israel are a people not forgotten by God,and He has made a covenant with them that shall not be broken! (Jeremiah 31:31-34). As Christians we serve the God of Abraham, Isaac and Jacob. Just as God renamed Abram to Abraham and Sari to Sarah, He also renamed Jacob to Israel and it is the house of Israel that we as Christians are a part of. (Isaiah 41:8-10),(Genesis 32:28). Read Galatians 4, Romans 8, and Romans 11. Is this reading from the word of God the reason President Obama said the Apostle Paul was a bigot? Time to wake up. The armies are surrounding Jerusalem, muslims are chanting death to Israel and calling for Jihad to protect the Temple Mount. Protect it from what?? Almighty God, YeHoVah?? Think about it before you believe a lie, and wake up! The Great I Am is coming with His Kingdom! And it shall be done on Earth as it is in Heaven!! Churches need to find their voices and find them fast! Come quickly Lord Jesus!